Fashion Mantra presents wedding carnival in Ahmedabad 2015. Fashion Mantra is a popular brand name for wedding and lifestyle exhibitions. 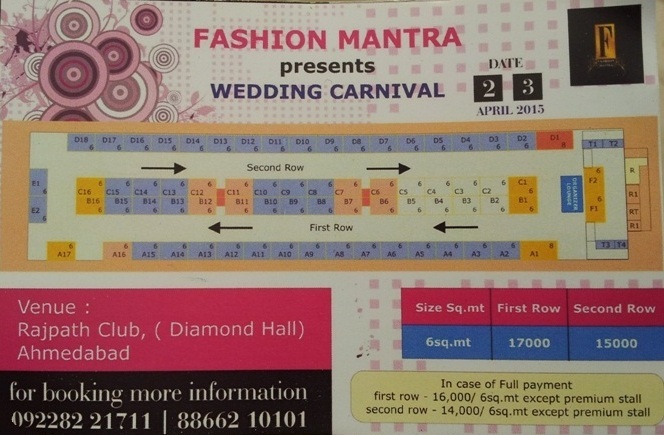 This time Fashion mantra is back with wedding carnival where the organizers are allotting stalls to the exhibitors. There will be so many wedding related exhibitors who will showcase latest products and apparels in this wedding carnival 2015. 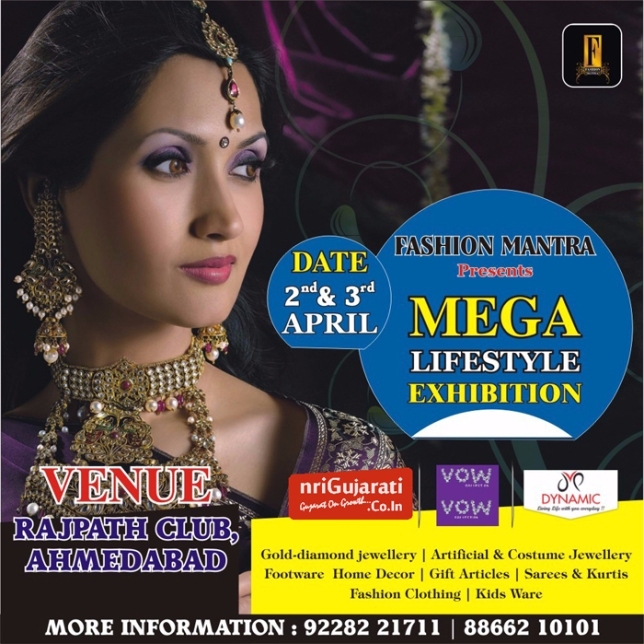 Fashion mantra wedding carnival will be held at Diamond hall in Rajpath club Ahmedabad on 2-3 April 2015. The wedding carnival will welcome visitors for 2 days. The wedding season is going on and this wedding carnival will be beneficial for people who are going to marry in upcoming time so they can get updated with latest fashion trends in the market. The wedding carnival will showcase latest designer wears, footwear, designer dresses and many other things related to wedding.